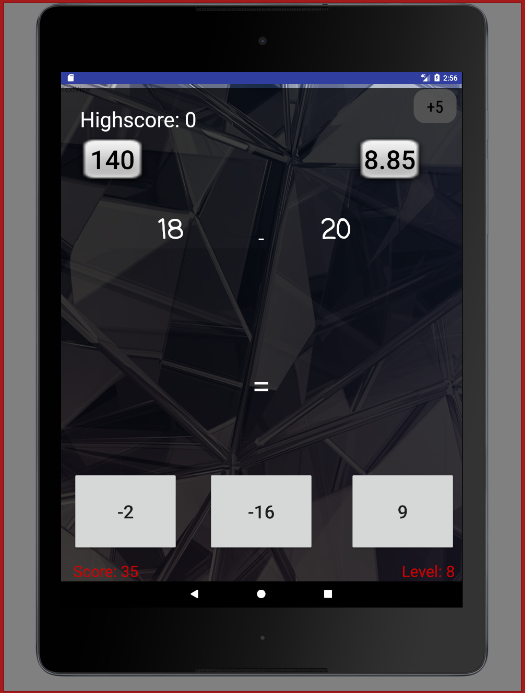 The Android Math Challenge by Nathansoftware.com. Copyright 2017 CC BY-ND 4.0. 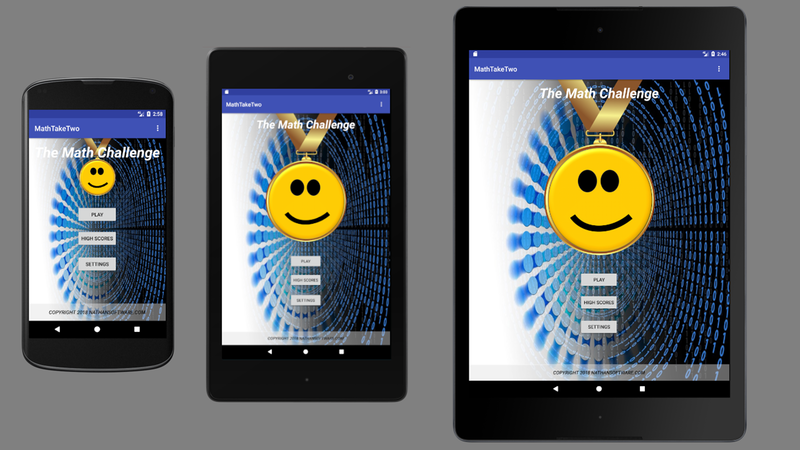 By downloading, receiving, using, or distributing the Android Math Challenge application you agree to the CC Attribution No-Derivates license under which it is licensed. This simple application allows you to test you math knowledge with randomly generated math questions. The math challenge features increasing difficulty levels, addition, subtraction, mulitplication, and division questions, and customizable settings including a game timer.